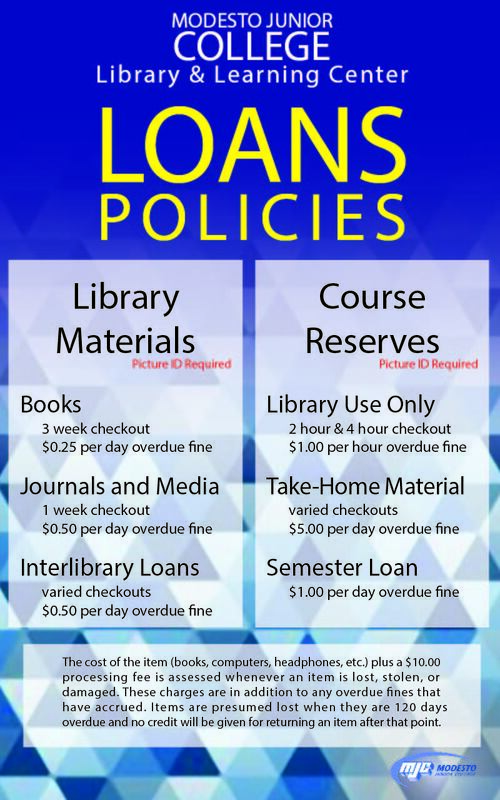 Do you have questions about borrowing materials, renewing them, or paying fines? What Do I Need to Be Able to Checkout? If you don't have your MJC ID we'll need your W number and a picture ID. You can get your free MJC ID card from the Student Development and Campus Life office. After that you can renew materials up to two times. Yes, if you return materials late. If you feel you need to dispute that fine, you can complete our Fine Dispute Form below and turn it in at the Checkout Desk in either the east or west campus Library & Learning Centers. You can check out all library materials for up to 6 weeks. Become a Friend now! Simply print, complete, and return the form below. You'll need to sign in to WorldCat to begin. If you do not return or renew your materials by their due dates, you will be charged a fine for every day that each item is late. To avoid fines if you are not finished with your materials, renew them in person or online. Learn how to renew online here.